The Musical Rainbow Tea Party may be bright pink but there’s no doubt that both boys and girls will find it fascinating. Littlest received her Tea Party set last Christmas. At first, she was transfixed by the sounds and lights. 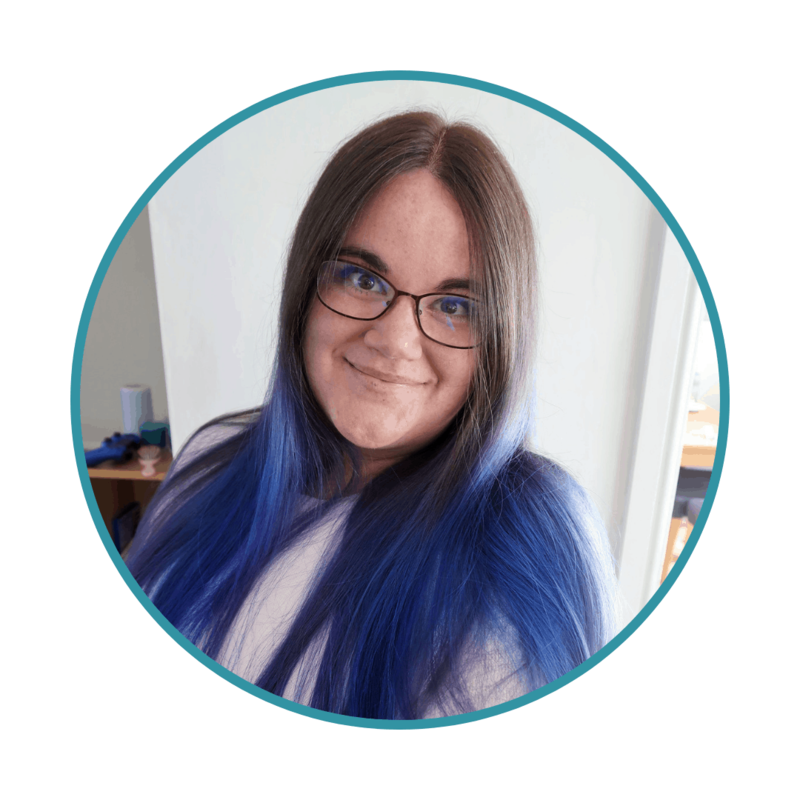 These days, as she grows, she is able to explore and enjoy the educational elements of the toy by matching the shapes and colours and role-playing the tea party. Tea party role-play toys are great for boys and girls in general. I am yet to find a child who didn’t delight in pouring an imaginary cup of tea for anyone who will pretend to drink one. Biggest is technically outside the age range that the LeapFrog Musical Rainbow Tea Party is aimed at, yet, he too returns to the toy frequently. He loves matching each slice cake of different coloured cake to the tea that is brewing. In fact, he gets quite agitated with his sister who likes to mix things up a little – painful for a little boy who likes his tea parties just so, much like everything else. 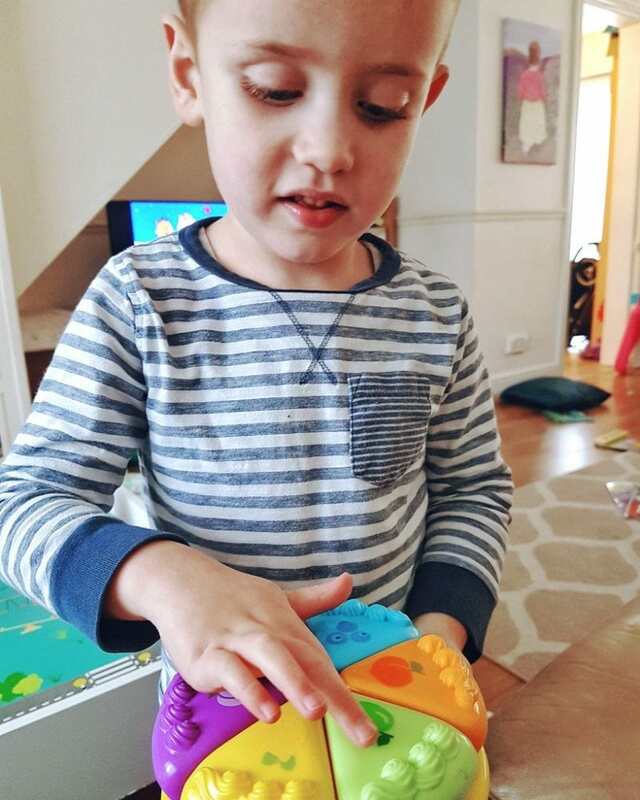 Biggest’s favourite LeapFrog toy is no doubt the LeapPad 3, his firm companion since he turned two – but I think the Musical Rainbow Tea Party comes a close second! Even though it lights up and makes noise, the tea set is surprisingly charming. The tea pot seems to fill up with different colours of tea, and then to empty as it pours, and this is something that children will love to see over and over again. It also has the added benefit that you can’t really fill it with water (there’s no room inside and mine have never asked as it makes the sound effect). I know many children don’t feel that it is a proper tea party unless there is something to pour! Overall, the Musical Rainbow Tea Party will make a great Christmas gift for any child aged 1-3. It is the kind of toy you will find them returning to, even after a few years. 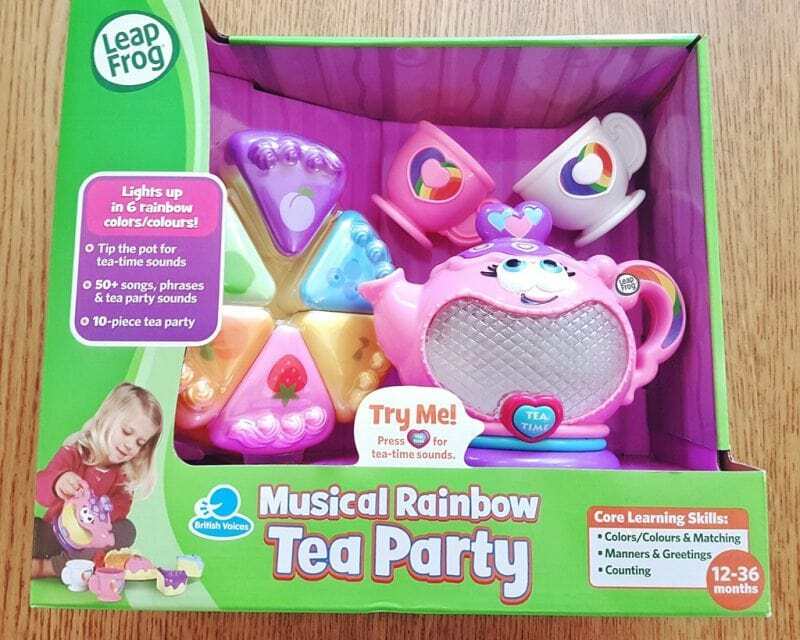 You could be in with a chance to win a LeapFrog Musical Rainbow Tea Party. Simply enter the Rafflecopter below. Competition ends at midnight on the 25th November. My daughter loves LeapFrog fridge number. She is hoping to get a bike for Christmas. Good luck with the competition. I hope she gets what she wants! my little one likes his leap reader pen and has asked santa for more books to go with his pen. Good luck with the competition and I hope your little one gets what they want! I hope she gets everything she wants for Christmas! Ohhh we love Scout too. Hope he gets what he wants for Christmas! my little girl has the picnic basket, she loves it! My little one loves her LeapFrog My Pal Violet, I have got her the Leapfrog Scribble and Write for christmas! Ahhh a good cause. The winner will be selected randomly but good luck! My little Violet loves LeapFrog My Pal Violet, I think it is becuse it has the same name. My 4 year old niece got a Leapfrog tablet last year, she loves it. This year she’s asking for a microphone, I’ll have to shop around. My daughter loves her Violet dog with books. My little one wants LeapFrog Number Loving Oven to play with. My daughter loves the picnic baskets and she would love a Peppa pig bike for Christmas!!!!! My niece loves her Leapfrog My Pal Violet. She wants anything Peppa Pig related for Christmas. My sons love their leapfrog number phone. My eldest wants octonauts toys for Christmas and youngest will be happy with anything Thomas! My daughter loves her leapfrog laptop and scribble pad, they are great for learning. My daughter loves her LeapFrog My Pal Violet and she is hoping for a Hatchimal this Christmas. I don’t think we have any Leapfrog products yet, but I know my kids would love them! the reader pen is a must this christmas!! 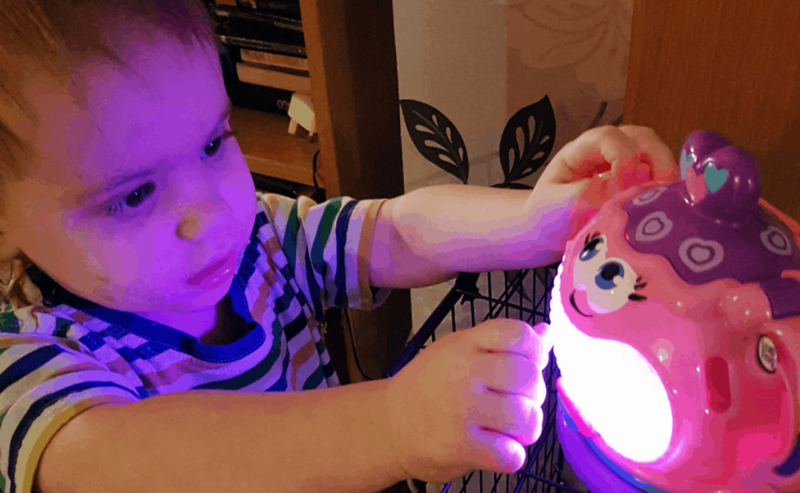 Leappad is Natalie’s favourite, she loves the interaction. Livvy loves her reader and her picnic basket. She’s not yet asked for anything specific. My little boy loves his leapfrog reader pen. y little one has asked for the elf on shelf gift set! The Leap Reader Pen has always been a favourite in our house! Thanks for a great competition. My children have a leapband that they share, they love it, they would love a leap frog tablet for Christmas. Would love to get my pal scout for my son! My Granddaughter loves My Pal Scout & I’d love to get a leappad for my Grandson for Christmas. My Pal Violet and My Pal Scout! I agree with you – all children love to pour an imaginary cup of tea! This looks like a lovely little set too! My daughter loves the look of the leapreader pen. I had something similar when I was younger and I thought it was fab. Really helped my reading come on. My kids loved leapfrog toys when they were younger, my son had the leap reader. I would love to win this for my little niece whom has asked Santa for a doll. I love leapfrog toys. We have a singing teapot but this one looks sooo much better! She likes her Leapfrog LeapPad as she uses it every day. Her Santa list changes every day, too! The Leap Reader pen is my daughters favourite. My Granddaughter has the picnic basket and she loves it. shes hoping for a baby doll for Christmas. Would love to win this for my two year old. We have bought her a kitchen for xmas and this would match it perfectly! What a delightful little toy – hours of fun! Thanks so much for linking up at #KCACOLS. Hope you come back again next Sunday. My grandaughter is one at Christmas so will probably love the box and wrapping paper as much as the contents. However I have decided to buy her cooking items and food from things like this brilliant toy, through to real cooking items when she grows up. I have my eye on the oven and other food related things that Leapfrog do so well. I’m not sure if my nephew has any Leapfrog toys but I’m sure he’d love this! 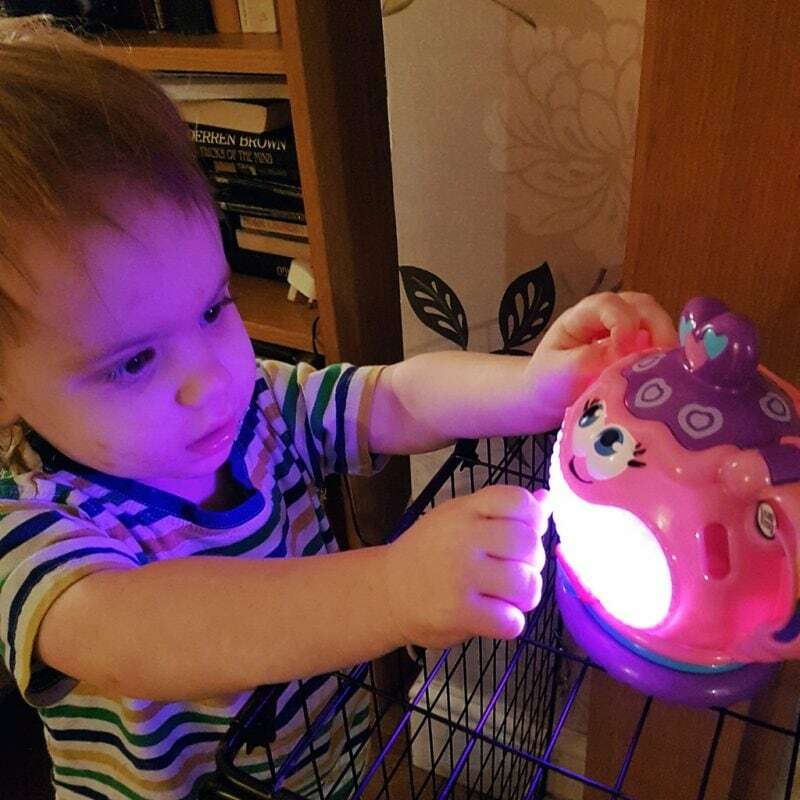 We love Melody the music turtle – they do so many cool products though. My daughter loves her LeapFrog LeapReader Reading and Writing System and she would like Sylvanian families for Christmas. We love the Picnic Basket. They got it for Christmas last year and it’s played with every day. Santa is bringing the LeapTV this year. I can’t wait to see what they think of it. My nephew adores My Pal Scout. He’d like to get Count & Crawl Kitty for Xmas.